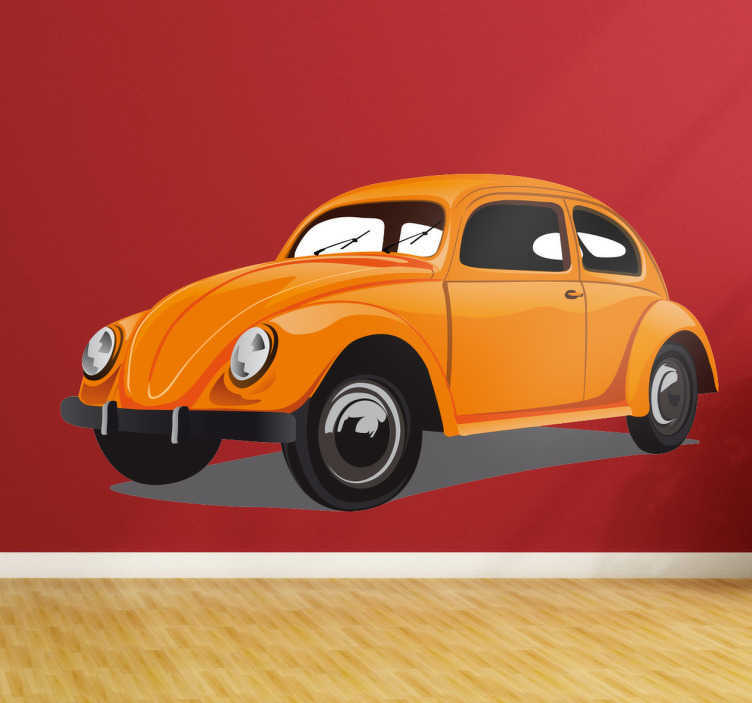 Volkswagen Beetle wall sticker. This sticker consists of the classic VW beetle which is recognised all over the world. This iconic car was made famous by the 60's film, Herbie. The adhesive film is suitable for the bedroom above the bed or over your couch in the living room. Like all our stickers, this design is available in many different sizes.